TLDR: FRISKY Loves Switzerland features top Swiss DJs showcasing the best of their electronic music. Switzerland is known for many exceptional things, including its beautiful landscapes, delicious food, and political neutrality. 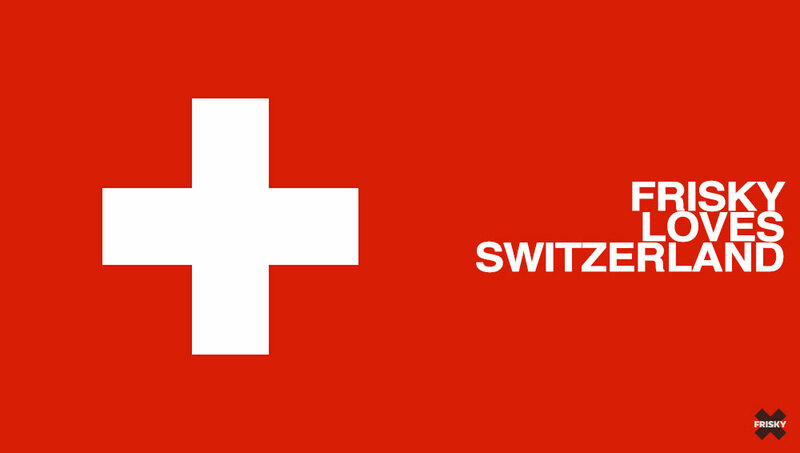 A direct democracy with one of the best environmental records in the developed world, Switzerland also is home to CERN and The Red Cross, and was considered the best place in the world to be born in EIU Quality of Life index in 2013. Even those who weren’t born there quickly make their way over in large numbers. With resident foreigners making up over 20% of the population, it’s easy to see that Switzerland is an attractive place for people around the world to visit and stay. With such a diverse population and strong sense of well being, Switzerland is the perfect place for underground electronic music to shine. FRISKY Loves Switzerland will be a day-long excursion into that Swiss underground music scene, a place that involves flowing rhythms, lovely melodies, and never ending auditory adventures. Featuring the most dedicated and passionate DJs and electronic musicians in Switzerland, this latest episode from the popular FRISKY Loves series will be full of the diversity and creativity found in their amazing country. Expect to hear a variety of genres from deep house, to progressive, to techno, all with the quality and style FRISKY is known for.